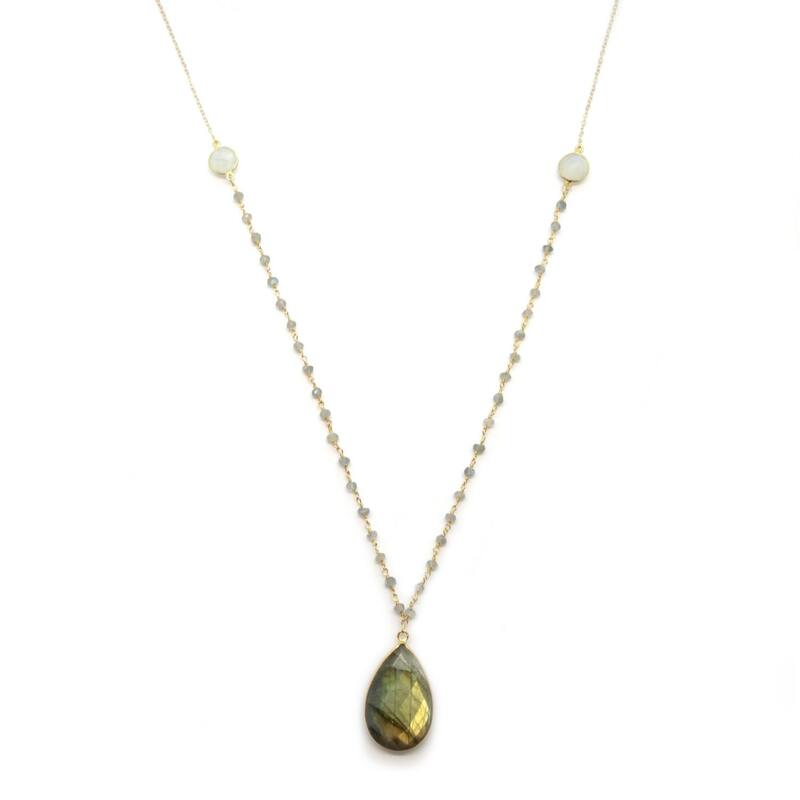 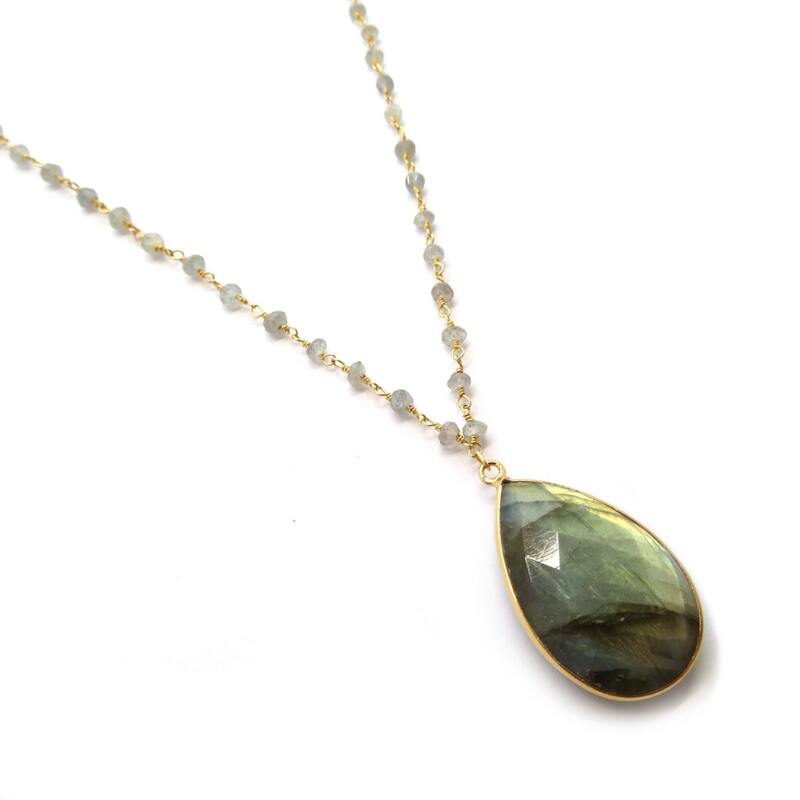 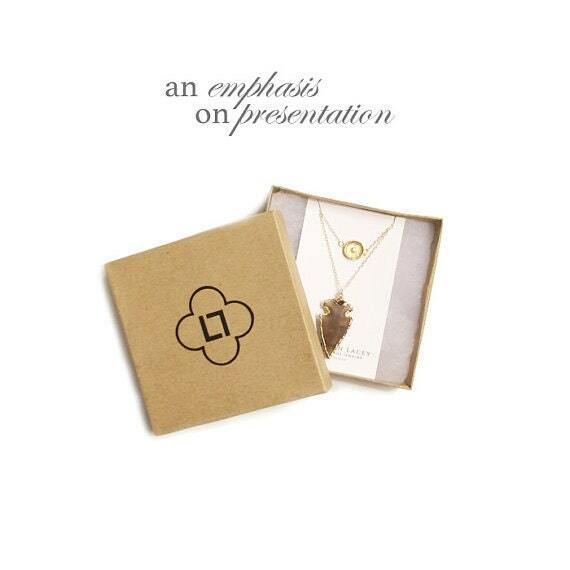 This long, dainty necklace features a large labradorite pendant framed in gold and hung from a moonstone chain. 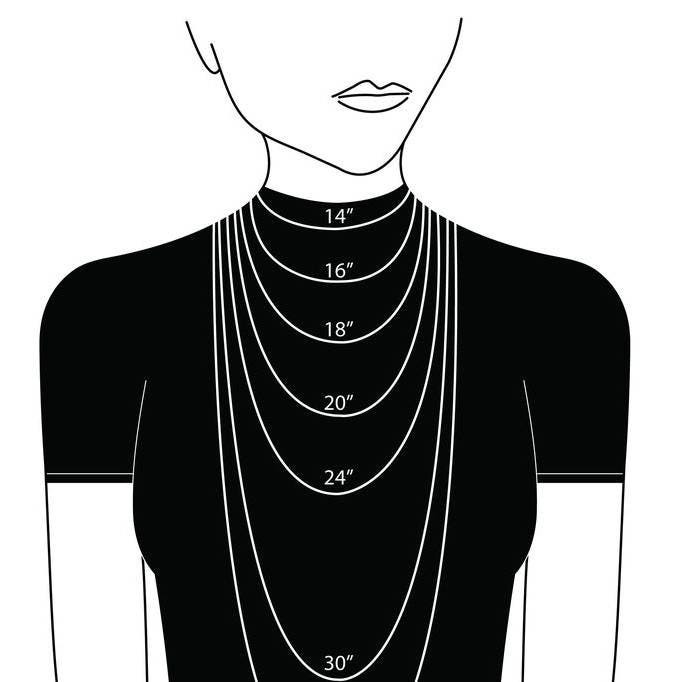 The chain is two-tiered with a top portion featuring 14k gold filled chain. 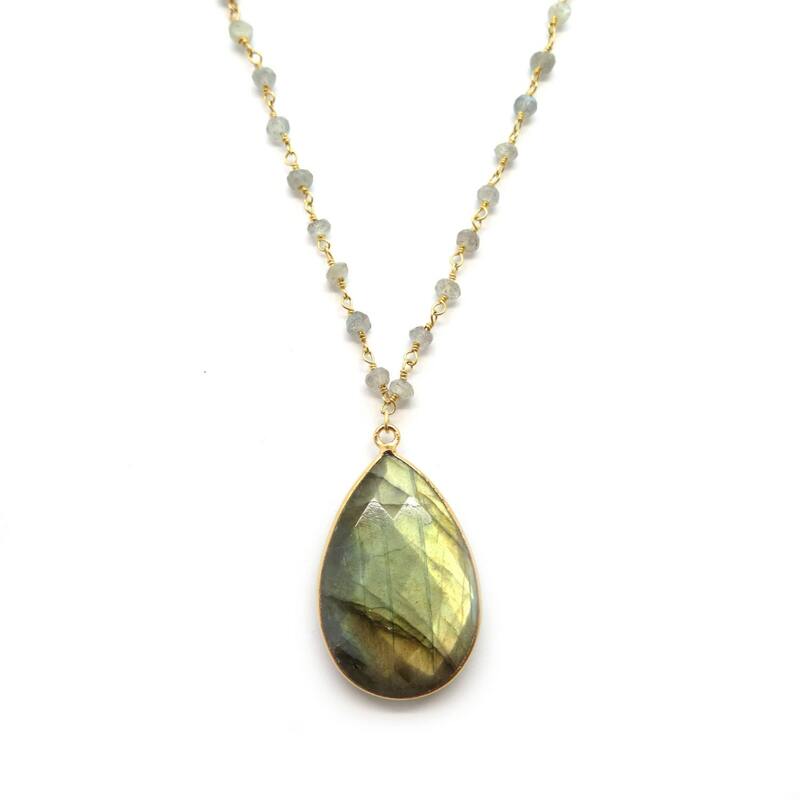 They're connected by two moonstone connectors for a piece that is absolutely unique!